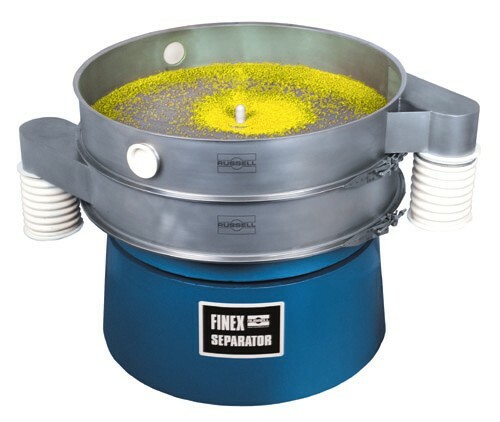 A new range of high performance vibratory separators have been introduced at Russell Finex. Our range or vibratory separators offer an increased level of performance and have been designed to handle wet and dry materials. These vibratory separators have improved separation capacity while ensuring four screen surfaces can be mounted on one separator to provide five factions in one single operation.